We all know how lucky we are to live in such a unique part of the world, so why not enjoy it in style? 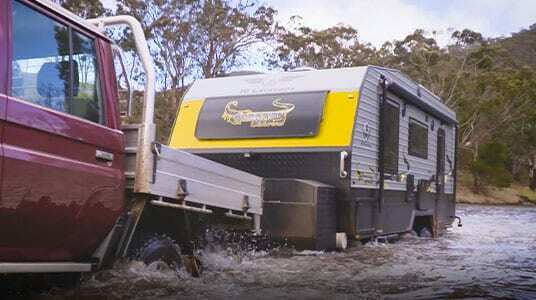 Introducing JB Caravans – designed with the intention take you to amazing places. Built to the highest of standards, JB Caravans are eye-catching, robust and ready to go anywhere. Equipped with all the comforts of home, JB Caravans set the standard for quality and value, and with both on and off-road options, you have the freedom to holiday in style – anywhere you like. Choose from multiple configurations to suit your requirements. Plus, with double and triple bunk options there is room for the whole family! 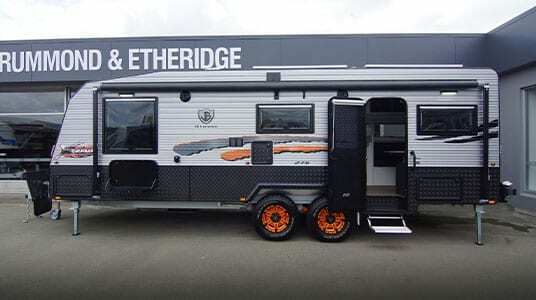 We have a great line-up of on and off-road caravans in stock, and if we don’t have the caravan for you, chances are we can build you one instead. D&E Outdoors are exclusive distributors for JB Caravans in New Zealand, and offer comprehensive aftersale parts and service support, along with a great range of accessories to further enhance your JB adventure. Talk to us today to learn more about the right JB Caravan and configuration for you.